New compact and rugged gadgets can be attached to marine animals. They record pressure, temperature, acceleration and other information, helping biologists to study them in new detail. But they also require new ways of presenting data. Researchers at Swansea University, UK, are trying to make it easier to understand the data from accelerometers on tagged animals, which record motion like a Wii videogame controller. 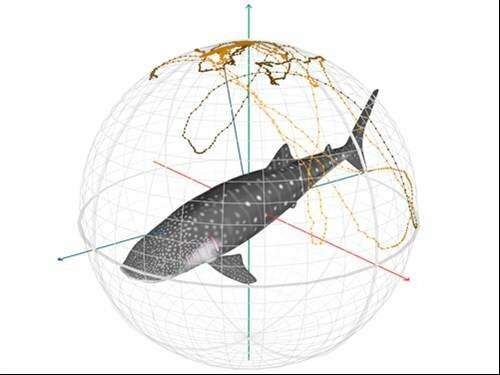 This 3D plot shows the orientation of an animal's body in the water over time, in this case for a whale shark.